With a model in the foreground, you can see the 60' x 20' scale of the completed project. 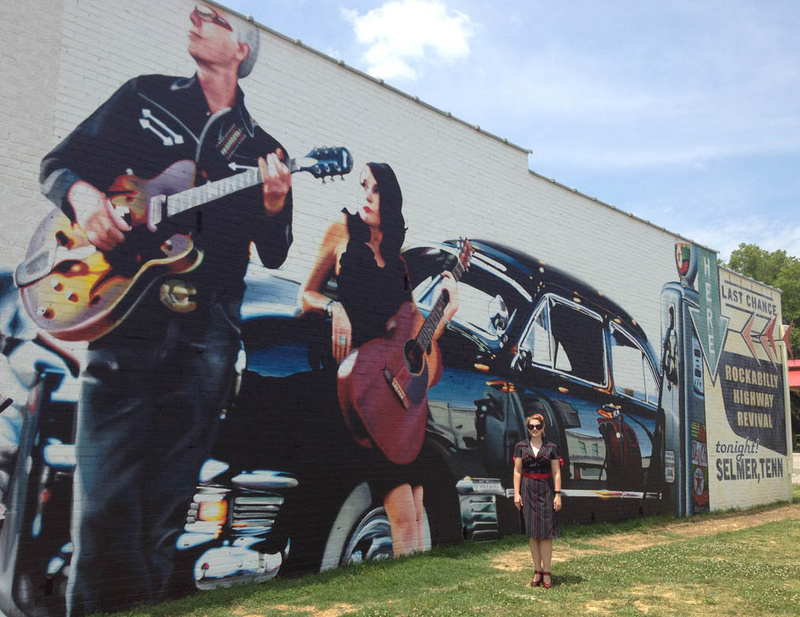 The Rockabilly Highway Mural II continues Arts in McNairy's tradition of investing in publically accessible art which reflects the musical heritage of McNairy County as well as the entire West Tennessee and North Mississippi region. Completed in June 2012, this is by far my largest photorealism painting. I am very thankful to have been selected again to front another project for the city of Selmer, TN and Arts In McNairy. 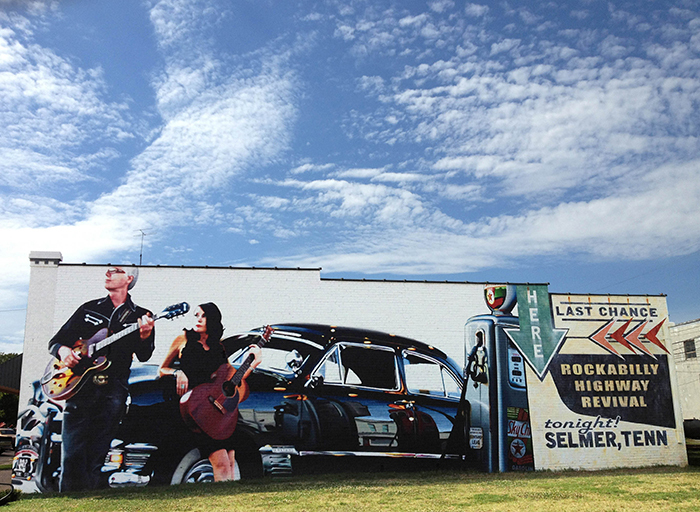 My subjects for the mural depict vocalist Eileen Rose and legendary guitarist and pedal steel player Rich Gilbert posed, with instruments, against the backdrop of Leonard Brown's 1950 Ford 2-door Custom. 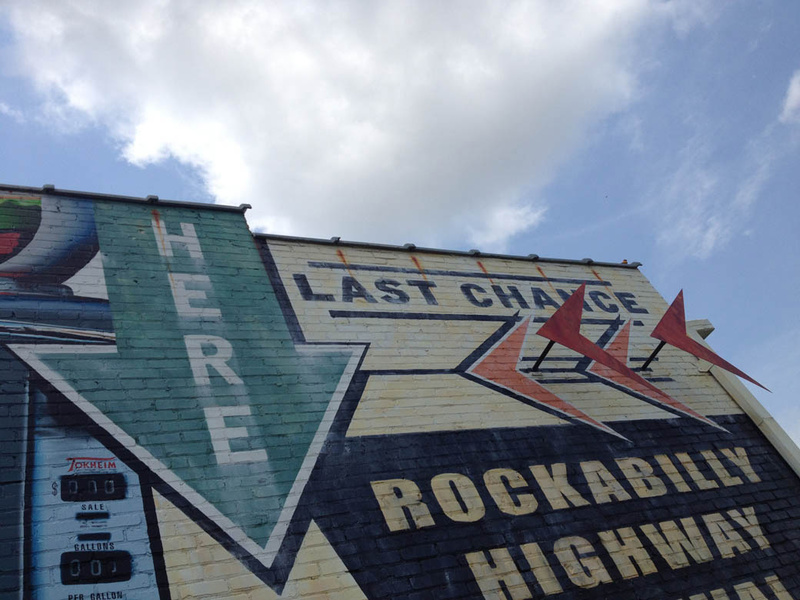 The image conveys a strong sense of the period while building on the musical heritage and Rockabilly Highway themes. The project was sponsored by Arts in McNairy and generously funded by the Tennessee Arts Commission. Other partners include Sherwin Williams, city of Selmer, McNairy Regional Alliance and Selmer Business Alliance. The mural is located on the exterior wall of Judge Van McMahan's Law Firm at 109 West Court Avenue, Selmer, Tennessee (viewable from Highway 45 north).